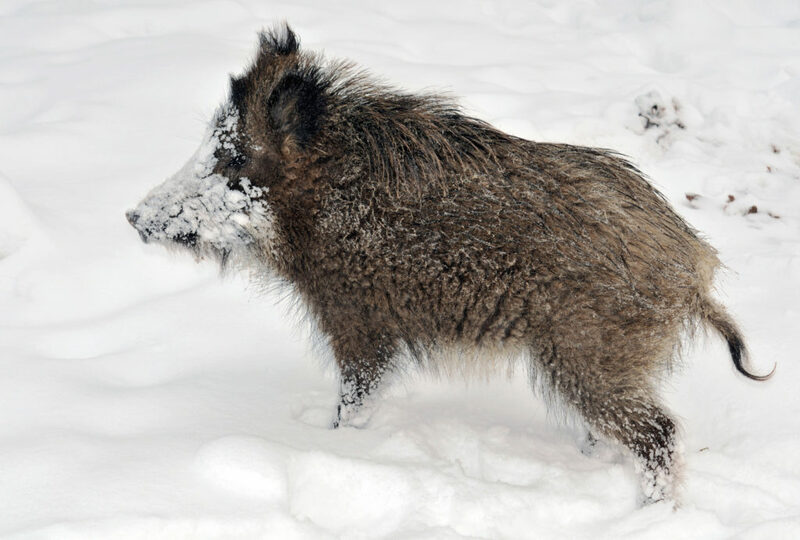 A boar likely originating from the Chernobyl area of Ukraine was shot after it was discovered to have 10 times more radiation than established safe levels. A non-radioactive boar from Germany. Image credits: Michael Gäbler. When the Chernobyl disaster occurred in 1986, it showed mankind just how careful it needs to be with nuclear energy: hundreds were killed directly, thousands indirectly, and exposing even more to dangerous radiation. To this day, several European countries still test boars, mushrooms, or other organisms likely to accumulate radionuclides from Chernobyl. Sweden was one of the countries most affected by the fallout. Masses of air moved dangerous elements towards Sweden, and rain brought them down to. After Chernobyl, a toxic cloud of radioactive iodine and caesium-137 rained over the Scandinavian country. Radiation levels are still high in wild creatures like elk and reindeer — and, most notably, in boars. Levels have increased significantly in recent years and according to The Local, more and more radioactive boars are appearing in the north of the country. A recent analysis from a boar shot in August showed a radiation level of 13,000 becquerel per kilogram (Bq/kg) — the limit set by Sweden’s Food Agency is 1,500 Bq/kg. Ulf Frykman, an environmental consultant, says things are only going to get worse for the local boars — and for meat consumers. “When they reach our worst areas, we’re expecting maybe 40,000 Bq/kg — that’s starting to look like 1986 for us all over again,” Mr. Frykman said. This is not an isolated case. Out of the 30 samples they’ve tested this year, just 6 had levels within the acceptable limit. It is believed that radiation levels in the soil are very high, and this will further increase the radiation levels in boars even more. Wild boars have slowly been moving towards the north of Sweden. They were hunted to extinction in the 1700s, and were then reintroduced to the south of the country in the 1970s. Since then, they’ve slowly expanded their territory, aided in part by rising temperatures. Locals say the radioactive boars are already causing problems — not by being radioactive… but just by being boars, digging holes in the field and eating a lot of food. At the end of the day, radioactive or not, boars will be boars.